Here’s additional grounds to praise paperless offices. 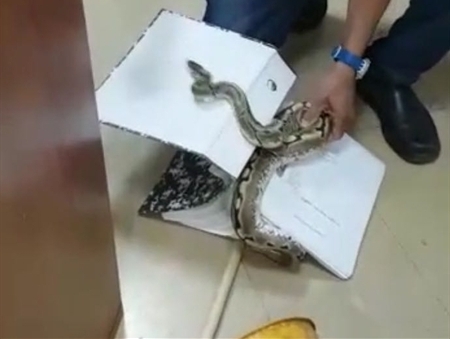 Spooked employees at the Rechovot Municipality were shocked to find a snake peeking out at them from among the files in the city’s Tax Collection Department… Turns out the equally taxed reptile had been caught inside the ‘jaws’ of a loose-leaf binder and from the looks of it (see the video) was relieved to be rescued by the municipal snake catcher. Yes, there is such a paid position at most municipalities in Israel… responsible for safely removing and releasing* snakes - mostly a local wild species of poisonous viper or tzefa - from homes and garden, oft attracted by air-conditioning interiors** and cool shady irrigated foliage during Israel’s long summers. * Israel has a narrow fragile ecosystem and even the Vipera palaestinae is a protected species under Israeli criminal law, along with other indigenous reptiles including frogs; lawbreakers face a 700 NIS (close to $200) penalty. ** For example, a neighbor of mine found a viper was regularly entering their house through French-style sliding doors to the patio while they were at work, spending the day curled up on top of their upright piano in the living room. Surprising the uninvited guest by an early return home, at first they thought the napping snake was a piece of rope! 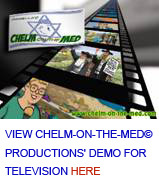 Palestinians have a very livid imagination – in the past having accused Israel of a host of loony ‘diabolical plans’ to do them in ranging from a 2009 charge that Israel was distributing aphrodisiac-laced chewing gum in Gaza to corrupt Palestinians’ morals, to a 2016 claim that Israel planned to trigger a tsunami to drown all the Palestinians in Gaza (see past item Flood of Ideas). 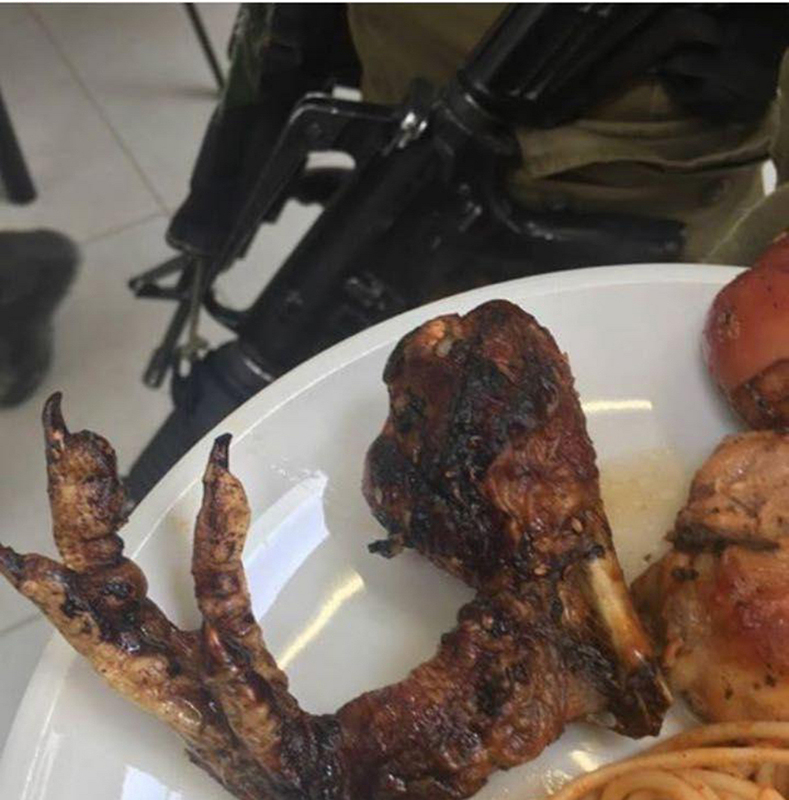 The IDF is investigating army chow at Israel’snew state-of-the-art training bases ‘city’ (dubbed ‘Ir Ha-Ba’dim’) near Beersheva after an aghast draftee was dished up what looked like a ghoulish Halloween prop on her plate: a barbequed drumstick with a grisly looking chicken foot still attached…nails and all. * 80,000 visitors in 2016, up from 40,000 in 2015, with 100,000 tourists expected in 2017. 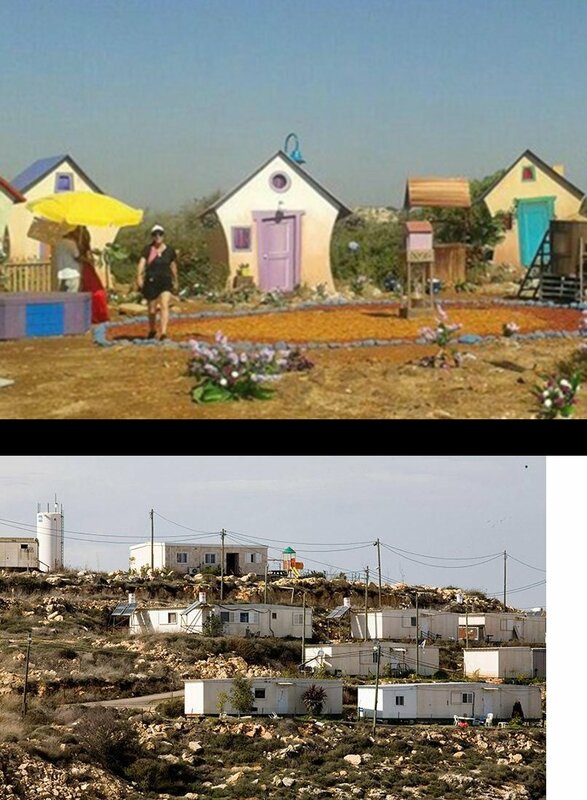 Need proof that Israel is a country that welcomes immigrants? A Ministry official said they didn’t need to examine the curriculum; Israeli automatically recognizes any institution with academic recognition in the immigrant’s country of origin.